In my five-part series “Working While Autistic,” I mentioned networking as one of the challenges facing adults on the autism spectrum as they try to build careers. This has certainly been a problem for me over the years and one that I hoped to address when I hired a writing coach at the end of the summer. 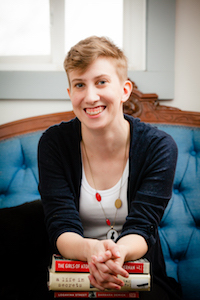 My coach, Heather Demetrios (who also happens to be a much-published author), suggested interviewing authors whose work I admire and who have successfully built networks with writers and readers. Ellie Baum has traveled to Germany with her high school German II class in defiance of her beloved grandfather’s wishes. Her grandfather, Benno Hirsch, miraculously survived the Chelmno concentration camp, but now his mind wanders in the throes of dementia as he refers to a magical red balloon that saved him. While taking pictures of the remains of the Berlin Wall, Ellie sees what appears to be a plain red balloon and grabs it. It pulls her back in time, to East Berlin in 1988, where she learns of a secret society of balloonmakers and runners helping to smuggle dissidents out of the totalitarian Communist country. However, something has gone very wrong, because the magic balloons were only supposed to take people to freedom and safety in their own time, not into the past or the future. And the person who was supposed to have Ellie’s balloon is now dead. It’s up to the runners who find her – the Romanichal boy Kai, who has come from England with his odd genius younger sister in order to save her from institutionalization, and Mitzi, an East German girl whose sexual orientation has made her an outcast – to find out the problem and send Ellie back to her own time and place. Interspersed with Ellie and Kai’s chapters are ones from Benno’s point of view, describing the liquidation of the Lodz ghetto and the origins of the balloons. The multiple points of view are woven in to build suspense, slowly revealing the magical world of the balloonmakers and the intrigues among them. Although the core of the story involves Ellie’s relationship with her grandfather and the intergenerational effects of trauma, the landscape of Communist East Berlin offers a perfect meeting place, with its pervasive bleakness and ever-present danger. Thanks for inviting me to do this interview! 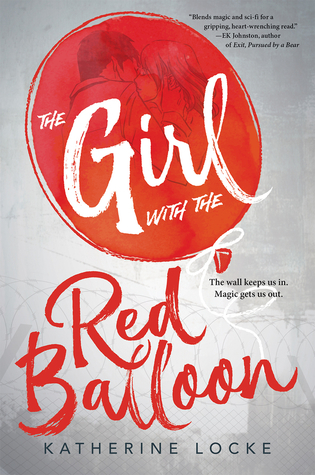 What inspired you to write The Girl with the Red Balloon? Is any of it based on your family stories? A couple things came together for this book. First, I was listening to the radio and 99 Red Balloons came on (a cover by Goldfinger, not the original!). I instantly had a mental image of a girl floating, holding onto a red balloon, over a wall. I thought to myself, “Oh, that’s interesting.” And I followed that image down the rabbit hole. What wall? Where was she going? Equally important, where was she leaving? At the same time, I wanted to write a story that wrestled with collective identity and how history affects our modern identities. What I mean by that, I mean by that is: what does it mean for me and my worldview that my grandfather was a Jewish WWII veteran who liberated concentration camps? What does it mean for me that my great-grandmother was a Deaf immigrant? What does it mean for me that my family who wasn’t able to leave Europe before WWII all perished in the Holocaust? What does it mean for me that I truly loved traveling in Ukraine, where Ukrainians collaborated with Nazis and killed my ancestors? How do those truths inform my identity? And how do I reconcile them together with my modern identity? I’m really interested in that layering of identity. Why did you choose historical fantasy rather than portraying the Holocaust and East Berlin under Communism as historical fiction? How can this element of fantasy and magic add to our understanding of history? I think that for teenagers today, some of this history can be tough to wrestle with. It can feel abstract or irrelevant. And for other teenagers, historical fiction is inaccessible in and of itself. By adding magic and fantasy, and using that as a lens, almost like using eclipse glasses to look at a solar eclipse without hurting oneself, I hope to make tough, complicated parts of history more accessible for today’s teenagers. I want to be clear though that it’s not because teenagers aren’t smart enough or something like that. Teenagers are more than smart enough to connect dots and handle this type of history, as dark and complicated as it can be. I want to make it interesting enough to grapple with. How did present-day concerns inform your choice of time and place? Honestly, they didn’t really. When I started writing The Girl with the Red Balloon, it was 2013. It feels like a really long time ago now! Any timeliness is accidental, much like the time travel in the book. And while I’m glad that’s helping the book resonate with readers, I wish it didn’t feel timely. How did you research the various settings and cultures that appear in the novel? A lot of reading and time. I read numerous books about Romani cultures, and spoke with Romani people (both here and Romanichal people in England, who would be closer to Kai’s experience). I’ve never been to Germany, so I did a ton of research on German culture and politics after WWII, the history of the Wall and East Germany, and specifically the changes in the late 80’s. I watched movies, watched old newsreels (and understanding that what I was watching came through an American lens during the Cold War), read books, looked at maps, read interviews…I really like the research part of writing historical fiction, but it’s arguably the most important part of writing historical fiction too. With award-winning YA novels set in South Asia and the Middle East, your publisher, Albert Whitman, specializes in YA historical and contemporary fiction with international settings. How did you connect with this smaller publisher? 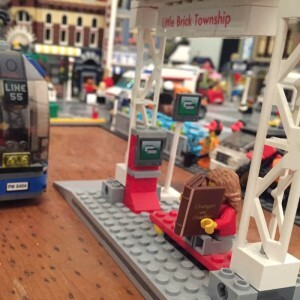 What are some of the advantages of working with a small press? My agent submitted The Girl with the Red Balloon to Wendy McClure at Albert Whitman and the whole team got on board really quickly. I am exceptionally lucky because every person at AW has been behind this book from Day One. I appreciate that so much. Being with a small press definitely has some advantages. I’ve had the same publicist and marketing team since I sold TGWTRB, they answer my emails, and they’re always supportive of everything I’m doing on my own for the book too. They brought me to Book Expo, Book Con, and ALA Annual, which was really really wonderful and essential to getting TGWTRB into the hands of readers and librarians who otherwise may have passed up a small historical book in a year of Many Big Books. They’ve also been willing to step outside the box and experiment with different marketing in ways that I think are harder for bigger publishers. I’m grateful for that! Who do you see as the audience for The Girl with the Red Balloon? Ideally, teenagers! I think TGWTRB has good crossover with adults, especially since it’s a time period many adults remember, but I wrote it for 16-year-old me, so I hope that teenagers today pick it up. I also wrote it to be a historical book accessible for readers who don’t typically pick up historical. Ellie’s a modern teenager and her worldview, language, and way of navigating the world are intrinsically modern. I hope that seeing East Germany through her eyes is an easier way to explore history. Plus, magic! Kissing! Lots of running around, rooftops, and banter! What’s next for the red balloons?